A few weeks ago, we showed you some unique ideas on organizing your yarn stash. But how do you keep your yarn tangle free when you’re in the middle of a project? Here are some ideas – for some of them you may need to buy a few materials, but you probably have most of the items you’ll need around the house. Yarn bowl by Todd Pletcher on Etsy. 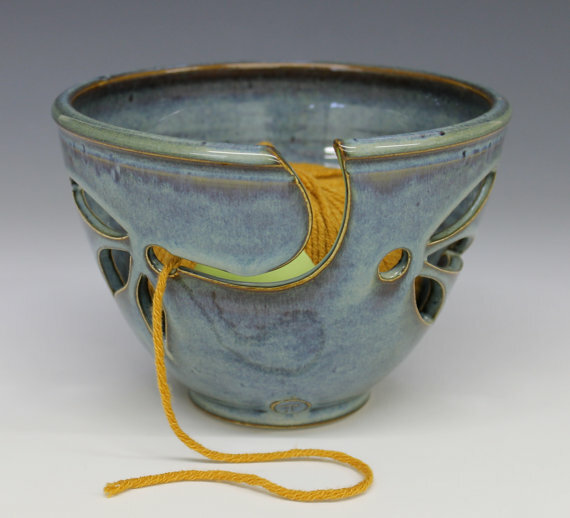 Probably the most stylish option is to purchase a specially made yarn bowl. These bowls have a “swoosh” on the side to settle the strand of yarn into. Unlike some of the other solutions in this post, it’s easy to take the yarn out of the container mid-project. You can find a variety of shapes and colors on Etsy and other pottery sites. Tea Kettle as a yarn holder, found on The Corner of Knit and Tea. 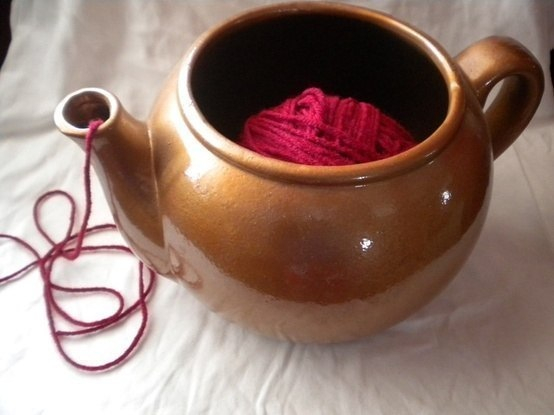 A tea kettle will also keep your yarn from rolling away. What a great way to re-purpose an old tea pot! 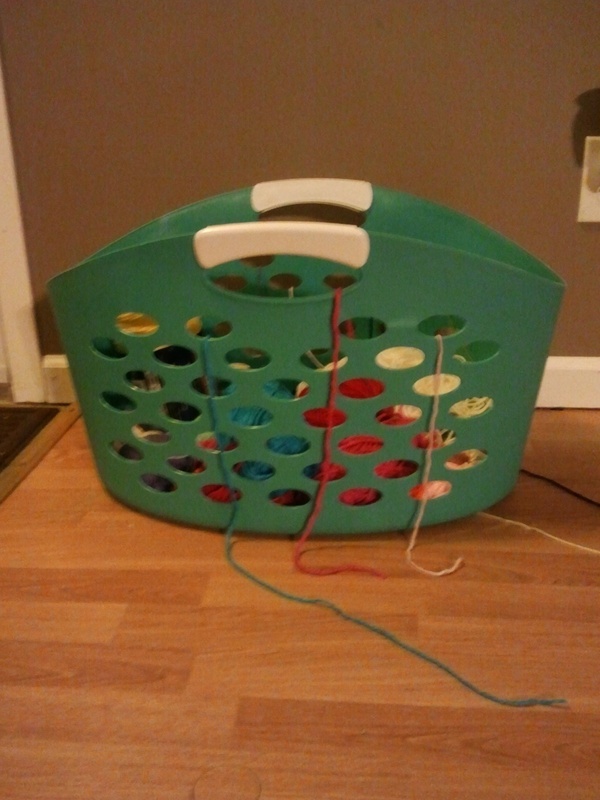 Plastic tote basket as a yarn holder. Source unknown. If your project uses a lot of different colors, you may want to consider a larger container with multiple holes for your yarn, such as these plastic storage bins. 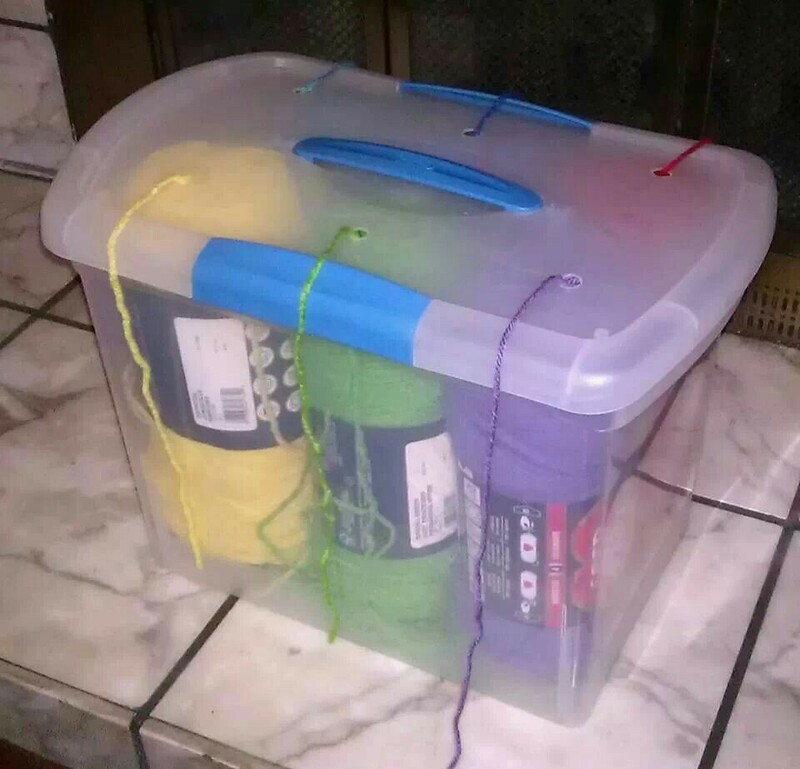 Plastic box as a yarn holder. Source unknown. 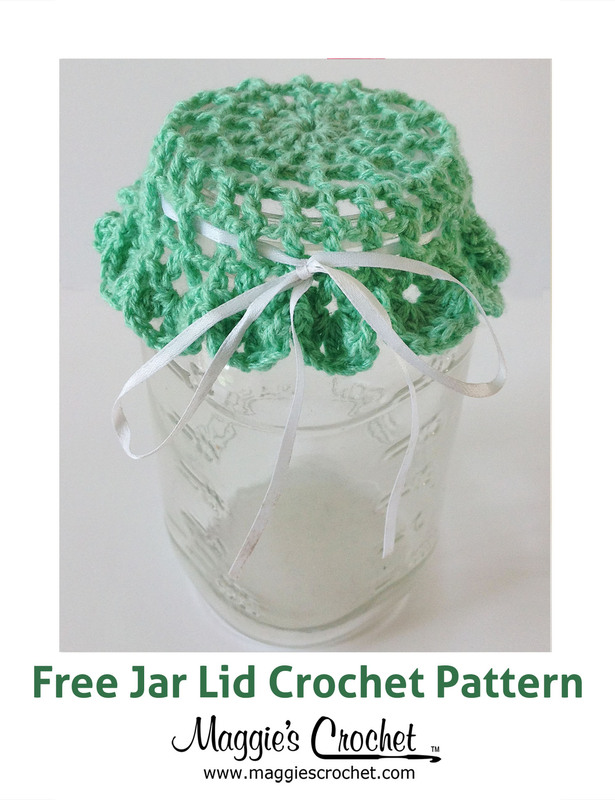 If you’d prefer for your yarn holder to have a lid, try a plastic bin like this one. 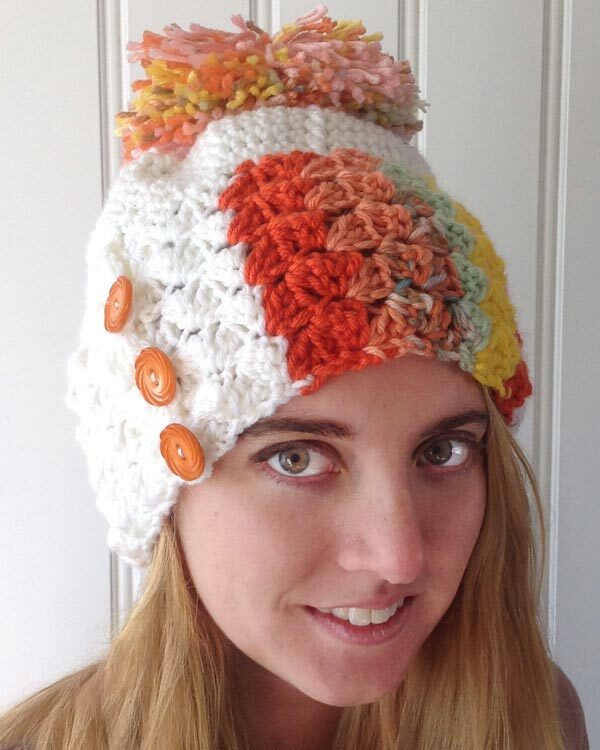 You’ll need to poke a few holes in the top – be careful! The plastic edges can be sharp. 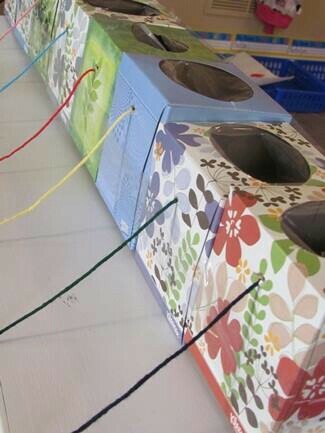 Yarn storage out of tissue boxes from Teach Preschool. The supplies for this solution are easy to come by! Either pull the yarn through the opening in the top or poke a hole in the side or bottom. 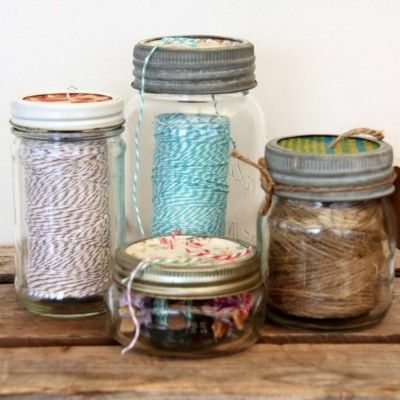 DIY Twine Jars from 42 Things. Individual jars are a great long term solution for bits of string and yarn. 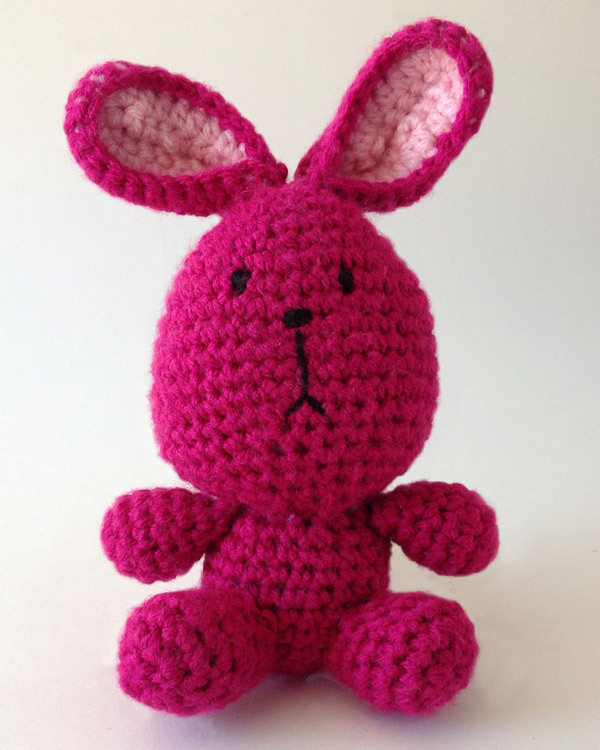 Follow the link for a tutorial. 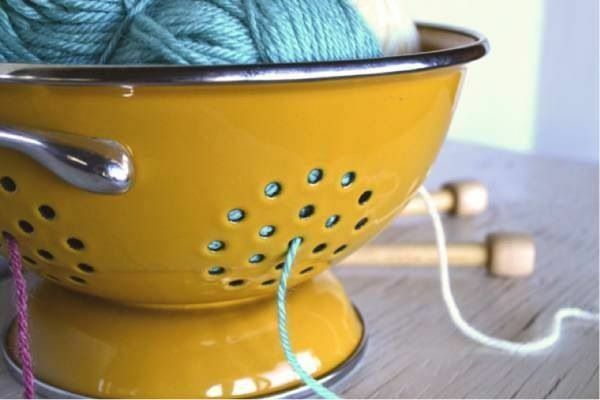 Colander as a yarn holder from LaurenConrad.com. Just be sure you have an extra colander around – or don’t eat pasta for a while! 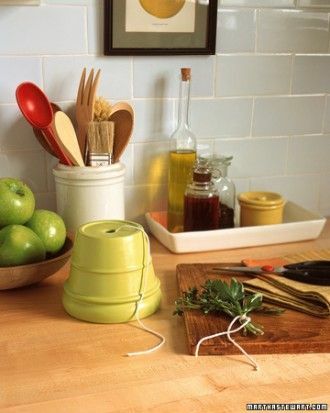 Flower pot as a yarn holder, from MarthaStewart.com. Flower pots usually have a whole in the bottom for water drainage – or in our case, to thread yarn through! Yarn holder idea from Sunshine Crochet Creations. 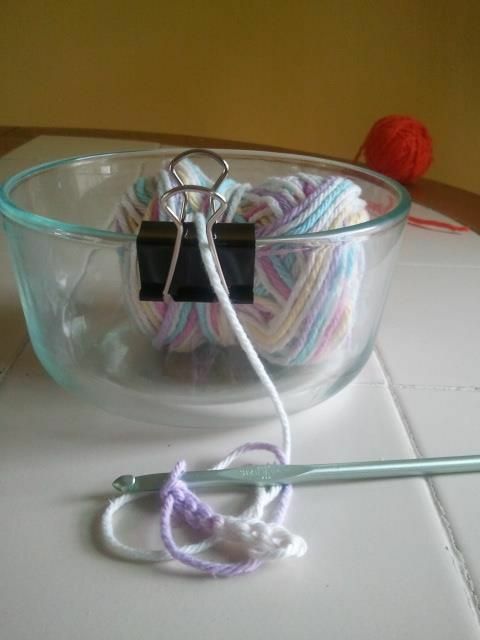 A simple binder clip can turn any bowl into a yarn bowl. 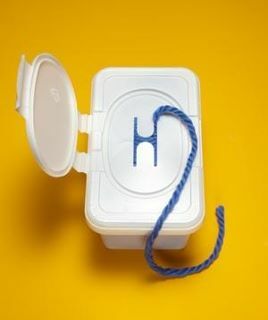 Baby wipes container as yarn storage, from Real Simple. An empty baby wipes container can also hold yarn – and they stack nicely.